I recently had an opportunity to guest write for a friend of mine, Ami Fiedler, President/Owner of Winky Boo LLC. Winky Boo is a fellow clothing company and blog in which the most recent post featured various clothing brand owners, including Nick Hammond Design, in order to shed some light on mistakes. 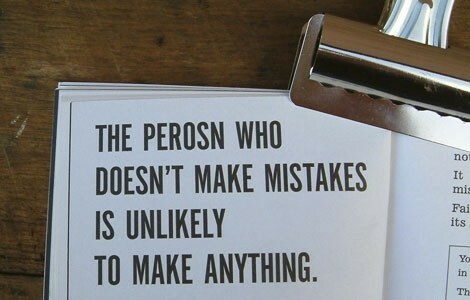 As everyone knows, mistakes are a part of the learning process and are made by even the best of people. In fact, this is how they become the best at what they do!